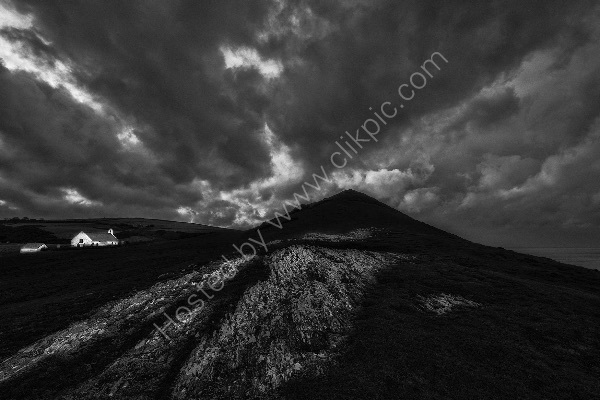 I wanted to make an image of Mwnt, that included both the fantastic shape of Foel y Mwnt, and the chapel, Eglwys y Grog, but from an angle that I hadn't seen done before. This isn't as easy as you might think, given that this area has been photographed literally tens of thousands of times. This was made on a very windy, stormy day in winter. It was so windy, in fact, that I had to hold the tripod down, and felt that I was about to be blown off the ridge that I was perched on, and down the cliff to oblivion!